Without question, athletics are essential in developing well-rounded individuals. Not only do athletic pursuits encourage health and physical fitness, but they teach fundamental lessons that often cannot be taught any other way. Our coaches and Athletic staff are experts at helping our student-athletes hone that competitive edge. 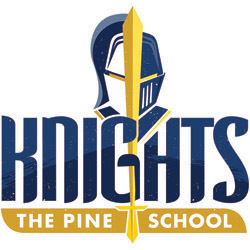 Our student-athletes are State, Regional & District Champions, they sign to play collegiate sports (many at the Division I level), and they dedicate themselves to the superior sportsmanship that The Pine School is known for. Competitive Athletics and strong sportsmanship are key elements of The Pine School's approach. We honor the dedication and long hours our student-athletes put into the pursuit of reaching their full potential - sometimes in multiple sports. Their commitment is infectious and we are proud to house an Athletic Program that holds these values in such high regard.